Sunless Skies, the third game set in the Fallen London Universe has been confirmed to come out on January 31st 2019, with a free spinoff pen-and-paper game available to download now. Failbetter Games has confirmed that Sunless Skies: it’s third main entry into the Fallen London series will come out early next year, on the 31st of January. The game will have similar gameplay to Sunless Sea, with players being given a locomotive to travel to through the skies in the light of a clockwork sun, in a Victorian England inspired world. Players will be constantly moving from settlement to settlement, meeting characters with their own stories, battling monsters, and generally causing the odd bit of mischief. In addition to this, Failbetter Games also revealed their new pen-and-paper game: Skyfarer. 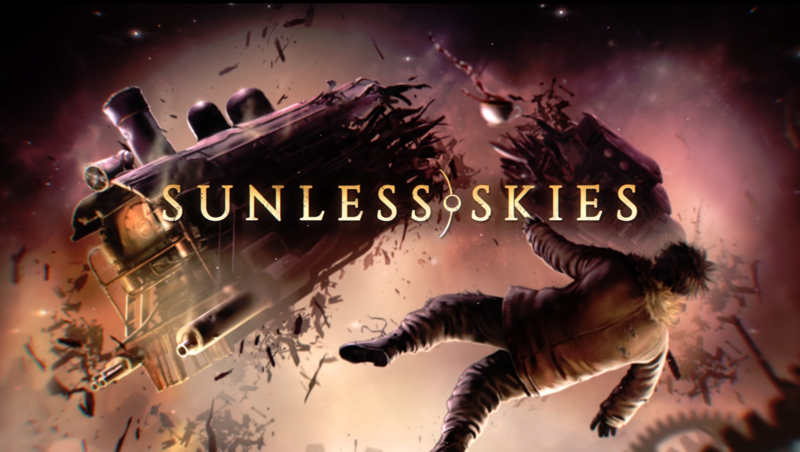 It is similar to Sunless Skies, in that you are still on a locomotive, air-borne vehicle, except here you play as the crew with friends after something has happened to the captain. The game will use two point systems: Peril and Tenacity. Peril will increase as players take more risks, but make it more likely for their characters to die. Tenacity on the other hand is rewarded when players stay in accordance with their character’s personality, something that you can apparently spend to make situations easier for yourself. It’s free to play and was made available to download today. We're overjoyed to present SKYFARER: A Sunless Skies RPG! A free pen and paper RPG by @gshowitt to accompany SUNLESS SKIES. Play as the crew of a spacefaring locomotive, captainless and looking for trouble! For the uninitiated: The fallen London series is a lesser known, but impressive series of games set in a fantastical world with Victorian-Gothic inspirations for it’s world design, with it’s games entrenched in lore for those who wish to know more about the world. The series currently has two games: The original free-to-play Fallen London browser game: where you play as a rising citizen of London, navigating scandals, supernatural forces, and politics to achieve your own goals and quests. The second: Sunless Seas, where you piloted your own steam boat to explore the ocean, the game to which Sunless Skies is a direct sequel to. Have you played any of the Fallen London games? Do you plan to? Had you even heard of them before? Join the discussion below.